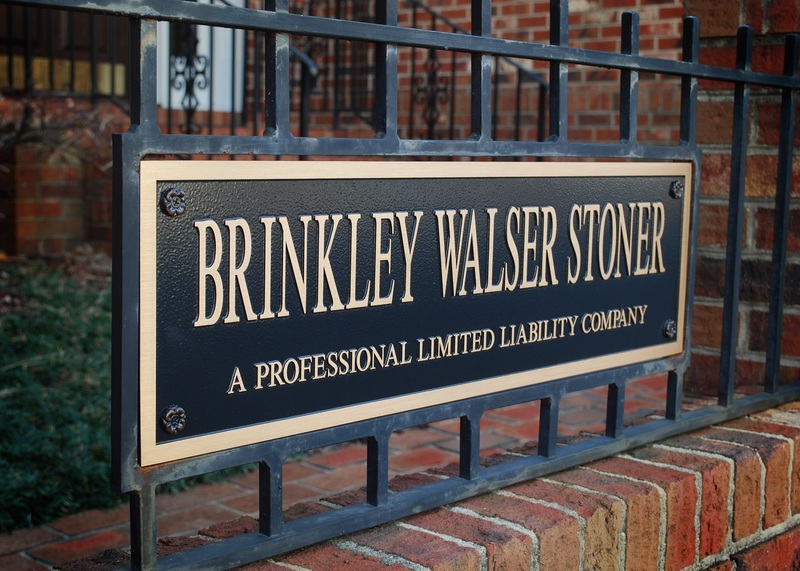 In January of 2015, two historic Triad area law firms merged to become Brinkley Walser Stoner. The new firm continues its commitment to providing counseling and legal services to the residents of Lexington and Greensboro, North Carolina, and surrounding areas. The attorneys at Brinkley Walser Stoner are not just here to fill out or file legal forms; we are first and foremost counselors here to advise you of your legal rights and options for appropriate solutions. 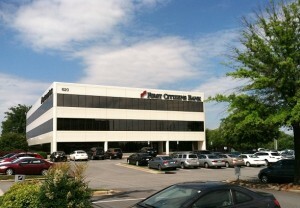 The law firm has offices in Lexington and Greensboro, North Carolina. Situated conveniently to Thomasville, Greensboro, Winston-Salem, and High Point, the firm is, at its core, a general practice firm handling everything from business law, to estate planning to family law and more. However, the attorneys and staff of Brinkley Walser Stoner pride themselves on an ability to deliver “big city law” with varied concentrations in niche practice areas at reasonable costs and with the values and traditions of a small town practice. Brinkley Walser Stoner is an AV rated firm by Martindale-Hubbell which is the highest rating a firm can receive, and is based on the confidential evaluations of other lawyers. Click here to learn more about our attorneys and staff. The firm has a strong community commitment to the people of Davidson and Guilford Counties and the surrounding areas. A part of the firm’s mission is to be of service to the citizens through active participation in community organizations and charitable events. Each attorney is encouraged to participate in some type of service or community project. The firm also donates annually to numerous charitable organizations in the communities we serve. 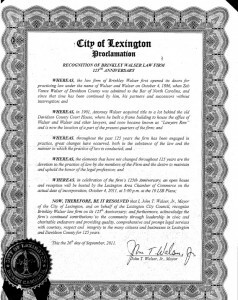 Brinkley Walser, PLLC, had its beginning on October 4, 1886, when Zeb Vance Walser of Davidson County was admitted to the Bar of North Carolina and began to practice law in Lexington. Since that time, this practice has been continued by him, his partners and successors without interruption. Zeb Walser was an active member and leader of the North Carolina House of Representatives beginning in 1888, and continuing in the State Senate in 1891. By 1895, Zeb returned to the House of Representatives, serving as Speaker of that body. By 1896, Zeb was elected Attorney General of North Carolina, and further served as the official Reporter for the Supreme Court of North Carolina in 1900, which position involved the digesting and publishing of all opinions of the State Supreme Court. Zeb continued both his local law practice and political involvement, and served as Theodore Roosevelt’s state campaign manager in 1912. Had “Teddy” Roosevelt won when he ran on the Bull Moose ticket, it was speculated that Zeb would have been appointed Attorney General of the United States. A photograph of Zeb with Teddy Roosevelt appears on our website. Zeb was a charter member of the North Carolina Bar Association, founded in 1899, and served as its vice-president. He was also North Carolina’s delegate to the first meeting of the American Bar Association at its founding at Saratoga Springs, New York. In 1919, Zeb’s son, Don A. Walser, joined the firm upon passing the North Carolina Bar examination at age 19. Don was joined in 1953 by Walter F. Brinkley, who retired from practice in 2009 after 60 years (he passed away in 2015). Following his father’s footsteps, Gaither S. Walser joined the firm in 1957. 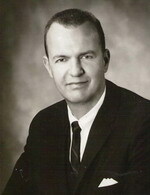 Charles McGirt became the fourth partner in 1961. 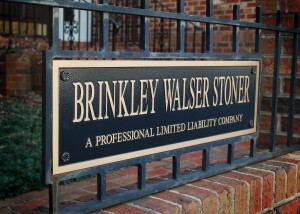 The firm was known as Brinkley Walser from 1994 through 2014. Surviving members of the original partners are Charles McGirt who still actively practices law as the firm’s senior partner, and Thompson Miller, who retired from practice in 2016. Stoner, Bowers, Gray & McDonald, P.A. Stoner, Bowers, Gray & McDonald, P.A. was established 1930’s by Paul G. Stoner and Lee Wilson as a general practice firm handling civil and criminal cases. The firm was located on Lawyer’s Row behind the old courthouse – right down the street from Brinkley Walser. Stoner-Bowers also has a long history representing clients in Davidson County and the surrounding area. Attorneys Roy L. McDonald and Gary Bowers of Stoner-Bowers continue their practice with the new firm; they are based in the 10 LSB Plaza offices. Attorney Carl W. Gray retired in January of 2017. Over the last 100+ years, many of the firm’s members have been active in the organized Bar, with Don having served as president of the North Carolina Bar in 1952, with Walt having served as president of the North Carolina Bar Association in 1974, and a prior partner, Clark Smith, serving as president of the North Carolina Association of Defense Attorneys in 2002-2003 and President of the North Carolina Bar Association in 2005-2006. Others have continued the firm’s tradition of active involvement in the organized Bar, serving on the North Carolina Bar Association’s Board of Governors, Legal Aid of North Carolina, the North Carolina Board of Law Examiners, the American College of Trial Lawyers, and the North Carolina Association of Defense Attorneys. The firm also boasts two distinguished members of the North Carolina General Practice Hall of Fame, to which Walter Brinkley was named in 1995 and Charles McGirt was named in 2012. The firm opened its Greensboro office in April of 2011, enabling Brinkley Walser Stoner to provide the same high quality legal representation more easily to the citizens of Guilford County and surrounding areas. The 2015 merger between Brinkley Walser and Stoner-Bowers brings together two firms with a commitment to provide quality legal representation, proactive planning, and the client service and small town tradition which has been the hallmark of each firm’s practice for a combined 200+ years. Read about the 125th Anniversary festivities. Read about The Law & Lexington Barbecue.